What is the silver social? The Silver Social is an exciting daytime programme of arts based events and activities, aimed at the community's older residents and managed by Breckland District Council. The Project brings 'something a little different' to daily life in rural areas, offering workshops and performances by high quality, professional artists. To read more about the programme click here. The Project is aimed at older residents and encourages engagement and participation in arts based activities. These activities would be particularly beneficial to those of retirement age or older and those living alone. However, there are no exclusions to the Silver Social and everyone who would enjoy the activities is warmly welcomed. What kind of events are they? The Silver Social offers the opportunity to experience a range of different art based activities in the form of daytime workshops and performances. 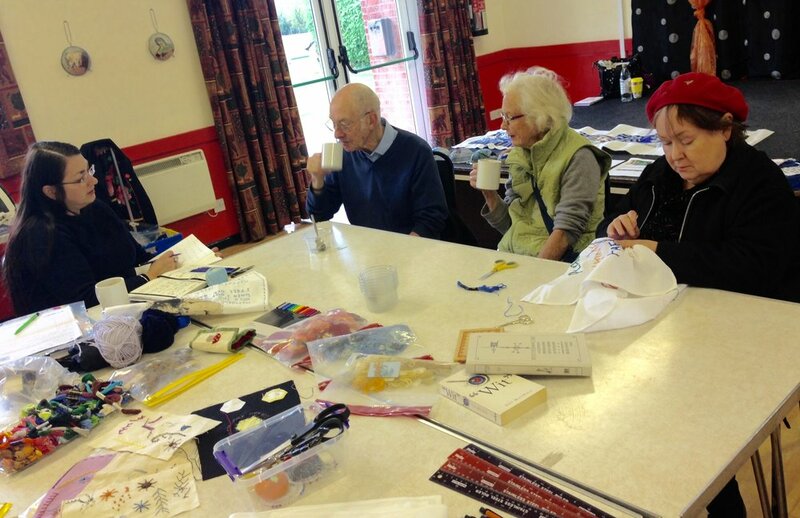 Previous activities include singing, working with textiles, embroidery, cyanotype printing, poetry and dance workshops. All of the events are held by a high quality, professional artists and none of the events require any previous experience. WhERE ARE THE EVENTS HELD? The Project holds events in 5 target villages and the 5 market towns across Breckland. These include Ashill, Attleborough, Dereham, Harling, Mattishall, Necton, Shipdham, Swaffham, Thetford and Watton. All events are held in familiar community spaces such as libraries, village halls, museums and community centres, welcoming participants into a friendly space that is also accessible to them during the daytime. For more details of what's in your area, see Upcoming Events. Is it possible to get help with transport? Please contact the Project Coordinator Sophie Soto, for any further information.